Calling ALL foodies, runners, designers, musicians, painters, plumbers, everyone…come out and be a part of this fun run event!!! We’re raising awareness for the need to support local, sustainably run farms that can help protect our health and the health of our communities, while stimulating the local economy and keeping the cost of food down. Everyone who completes the event gets a medal, but we’re giving away a few novelty prizes for Best costume (keeping with the theme of the event "Local Food Production") and Door Prizes. So get your crew together, sign up and then decide on what you’ll be wearing. Come and check out our farmers market where you can sample and purchase fresh, local fruits and vegetables. 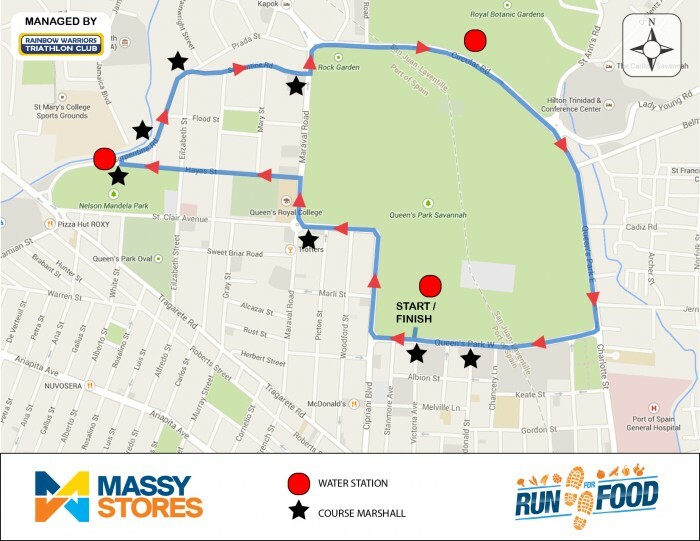 Route: Start at Queen's Park Savannah (South) opposite Victoria Avenue, Run on the inside lane clockwise around the Savannah. Turn Left at Hayes Street, Turn Right at the short street just before Serpentine Rd., Turn Right onto Serpenting Rd and follow until you get back to the Savannah (South of Wildflower Park). Turn left onto the Savannah by Stollmeyer's Castle and run clockwise on the inside lane until you get return to the finish.